Links to North American national MG organizations/clubs as well as global organizations. The Register was established in 1975, with the sole objective of promoting the restoration, preservation, and enjoyment of the MGA, Magnette and their Variants. As of 2012, over 8,000 cars have been registered, with a membership of over 2,000. The Register currently shows 3,472 MGA’s, 206 Magnettes, and 16 Variants. (Variants are cars built using the MGA engine or chassis, such as the Elva Courier). In addition, there are a number of specific interest groups affiliated with NAMGAR – MGA Coupe, MGA 1600 Deluxe, Z Magnette Group (ZMG), Elva Courier, MGA 1800, MGA Twin Cam, and MG Vintage Racers. While NAMGAR was created to specifically serve the North American MGA enthusiast, we now boast a world wide membership with over 15 countries represented. NAMGAR is governed by a volunteer Board of Directors comprised of a Chairman, Vice-Chairman, Treasurer, Registrar and Marketing & Communications Director. These 5 people are assisted by many other volunteers in order to bring you our magazine, website, and annual events. NAMGBR is an international British car club serving the needs of the MGB, MG Midget, MG 1100/1300, and post Abingdon MG owners, across North America. Established in 1990, our club is run and elected by the membership for the membership. We publish the world famous MGB Driver magazine six times a year in full color. Our publication features articles ranging from reviews of local shows to tech tips, along with a schedule of upcoming events and tech advice by none other than John Twist. We hold an annual convention hosted by one of our local chapters and have a completely open business meeting in October of each year, in which the membership is encouraged to participate. We are a recognized 501(c)7 Not-For-Profit corporation. The MG Car Club was formed in conjunction with the MG factory in 1930 and has been providing top quality support for MG enthusiasts ever since. The Club headquarters are based a stone’s throw from the original MG assembly line in Abingdon and whilst we actively embrace the marque’s illustrious past we’re focused on continuing MG’s high standards into the future. The MG Car Club has been supporting you and your MG since 1930, we can save you money on insurance, spares, tickets and help you make the most of owning an MG. 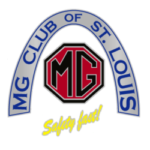 The MG Owners Club was formed in 1973 to serve the growing needs of the MG sports car enthusiast. Over the last 40 years the MGOC has concentrated on making it easier, cheaper and more enjoyable to own an MG. Our vast membership base has helped earn us the reputation of being the World’s largest single marque car club. If you own a pre 56 M.G. or are just interested in pre 56 M.G.s then perhaps this is the club for you. The Club was established in 1969 when a small group of enthusiasts in the Stafford and Stoke areas of England began to meet and cater for pre 56 MG.s in an effort to maintain and preserve the cars for which Abingdon was traditionally renowned. The objects of the Club were to promote social and sporting meetings for the benefit of members, provide members with information, advice and assistance and generally further the interest in the preservation and renovation of MG. cars built prior to 1956. The membership of the club grew quickly, and sub-groups formed throughout the World to organise local meetings for members. In April 1972 the Club achieved R.A.C. recognition, and became the only R.A.C. affiliated Club in the U.K. catering solely for pre 56 M.G.s. The Club is also affiliated to the Association of Classic Trials Clubs. An important aspect of the Club is provision of a wide range of parts. Our monthly magazine, the Bulletin is sent free to all members each month, containing a wide range of feature articles, technical tips, photographs etc. This publication is at the heart of the Club and the common link (apart from their cars) between members. Regular events are organised throughout the year. The club participates in major classic car shows throughout the year.